Range lead in 1lb. ingots for making bullets. Description: Lead in 1lb. 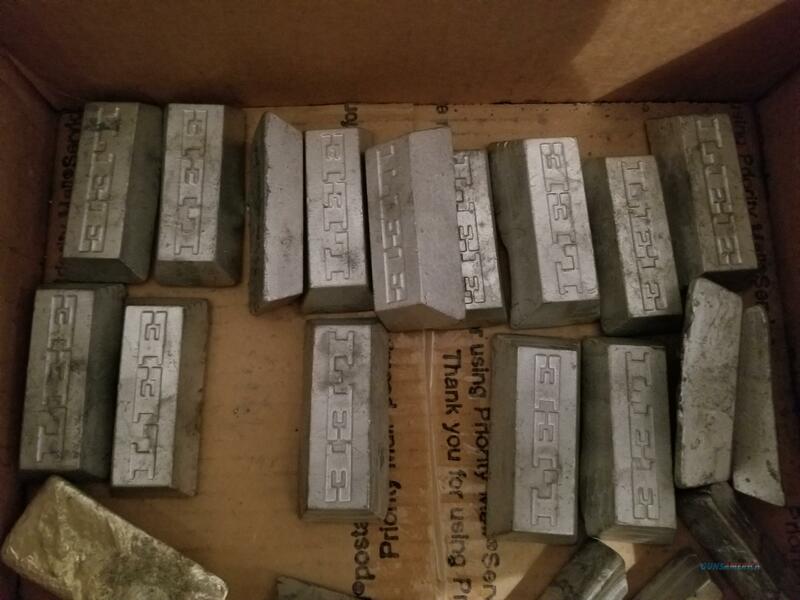 ingots with tin added for making pistol/revolver bullets. Let me know how much you want and I will weigh it and give you a price. 90 cents per lb. No tax. If you use a credit card add 2.7%. Call to arrange for local pickup.